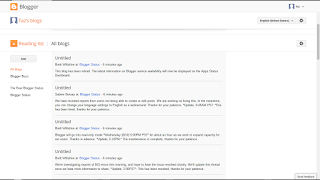 You can display your Reading List, with the various blogs indexed in 3 states. Just learn to hover the mouse cursor in the right spot, to the left of the index entries, to change the state of the individual blogs. 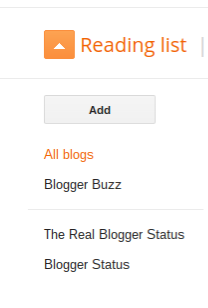 Hidden or not, the blog content will continue to display, in the main Reading List display. 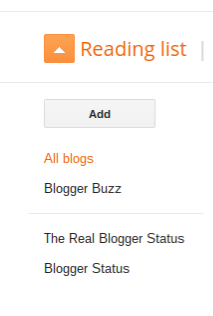 Hidden blogs simply appear or disappear - as needed - in the Reading List index. Here's an example of Reading List index entries. Start from the Reading List section of the dashboard home page. Here, we see two blogs that are being Followed, both visible. To hide a blog, hover the mouse cursor to the left of a given blog name, and click on the down arrow. 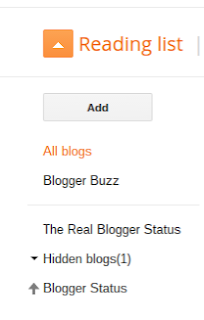 To show all hidden blogs, click on the right arrow to the left of "Hidden blogs". 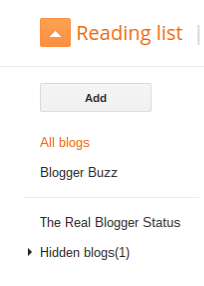 Now, all blogs are displayed - and the hidden blogs are indicated. 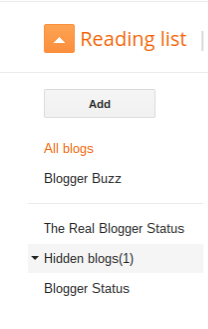 To un hide a hidden blog, hover the mouse cursor to the left of the blog name, and click on the up arrow. And we again have two blogs, both visible. 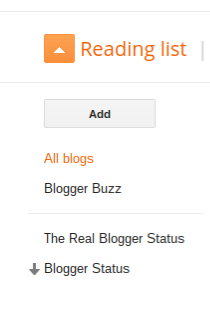 The actual content of the Reading List display does not change - just the Reading List index, on the left. 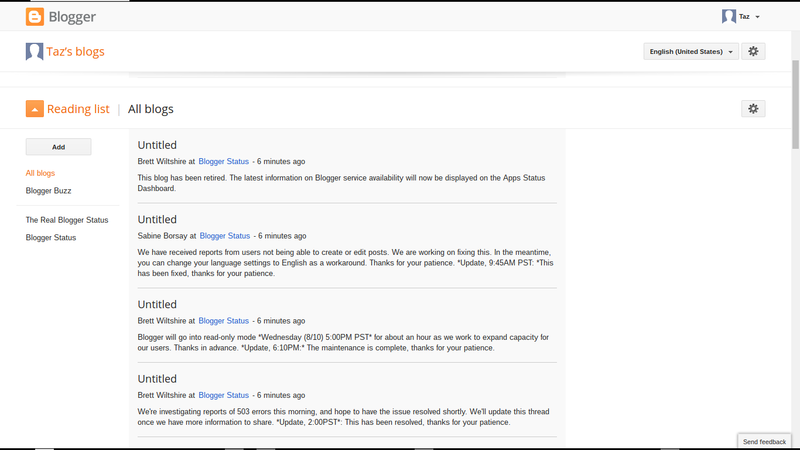 To help you use the #Blogger dashboard Reading List effectively, you have the ability to display or hide specific blogs in the index. This does not change Reading list content - just the index - and makes it easier to locate important blogs, repeatedly, in the index.